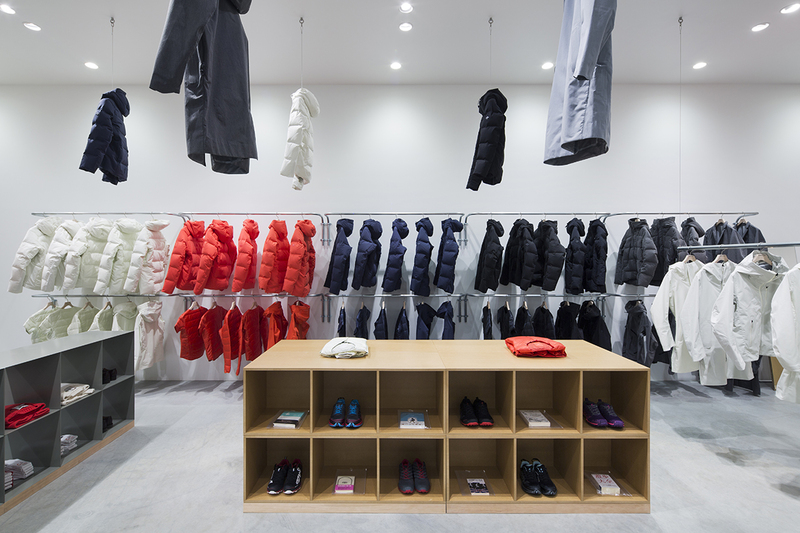 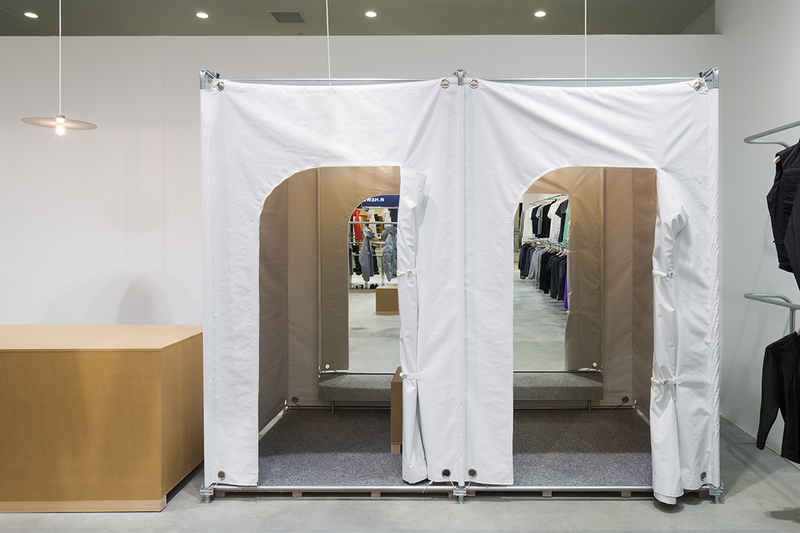 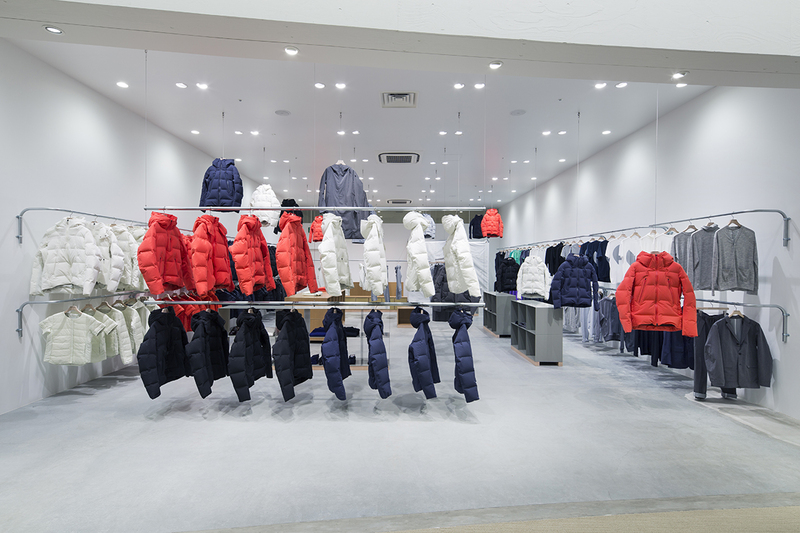 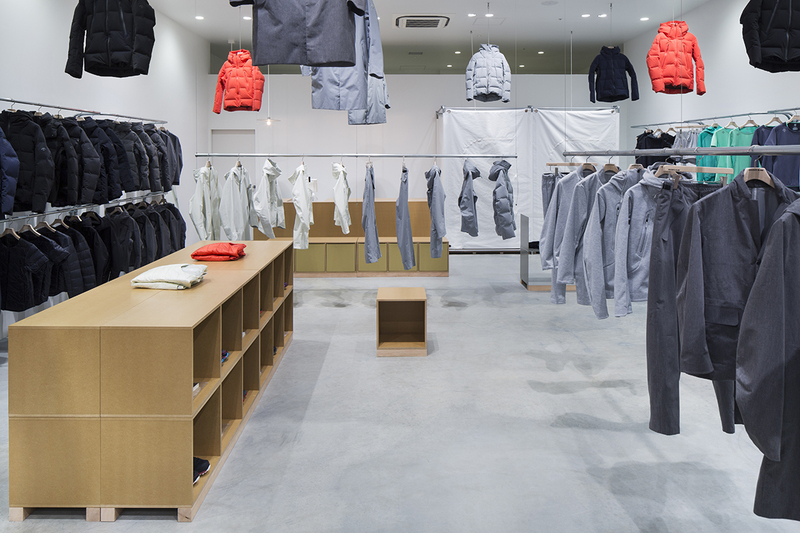 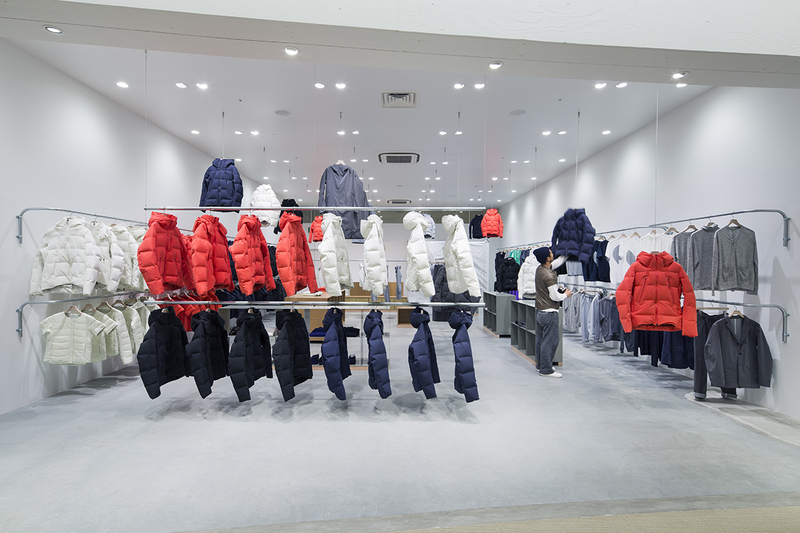 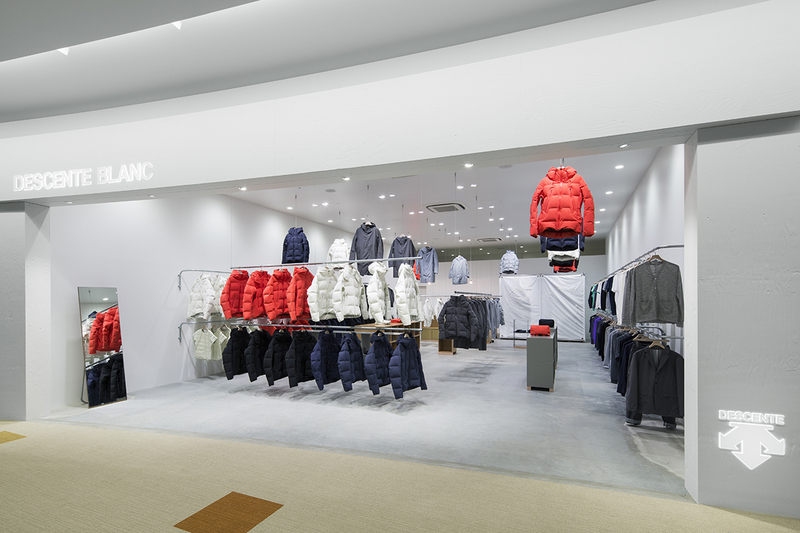 This is the third shop we designed for DESCENTE BLANC, located in Osaka. 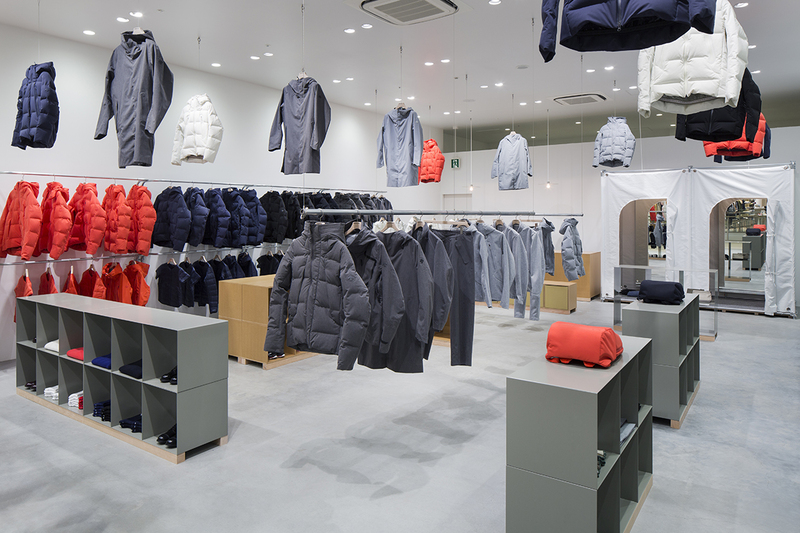 Here our design concept of “incorporating movement in space” has evolved into the one-touch operable descending/ascending wire hook system based on 1700mm x 1700mm grid. 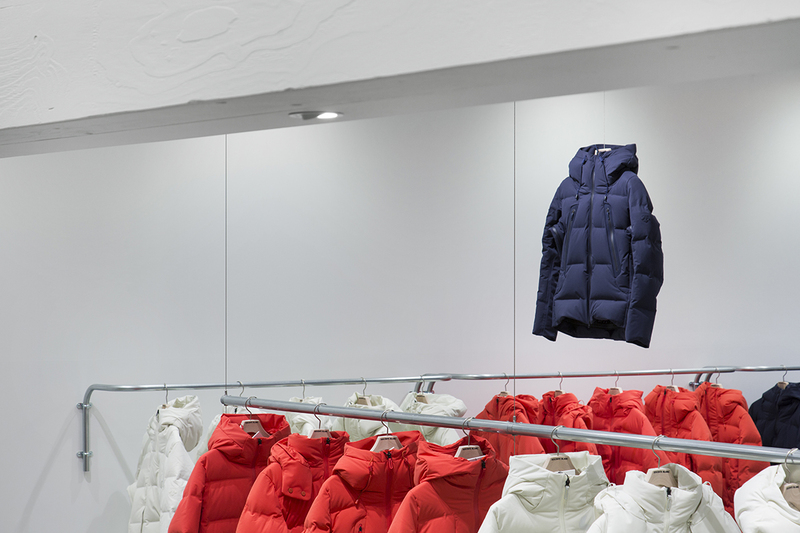 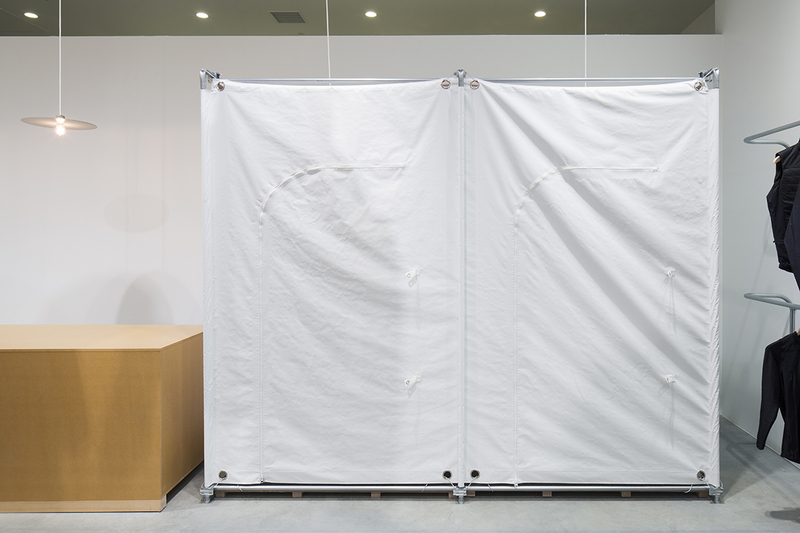 Each wire hook can be operated individually, or two wire hooks can be connected by a hanger rack along both the X and Y axis at any location, allowing for versatile and dynamic display arrangements that can be freely adjusted in the X-Y-Z axis suited for each season. 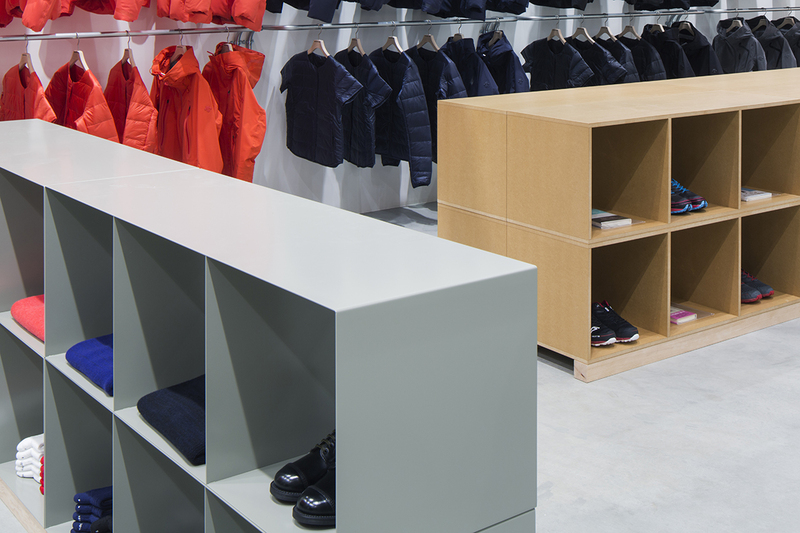 Floor-installed display furniture allows for vertical movements and reconfiguration, which can also change according to display ideas.